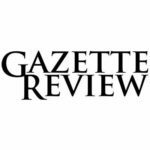 Weighted Blankets have quickly become a craze among caretakers and individuals alike for their numerous benefits, relatively low one-time-cost status, and being a non-drug intervention. That being said, there’s also been some confusion about what they are, and what weighted blankets can, and can’t, do. Here, we’ll take a look at weighted blankets and what they are good for (which happens to not be “absolutely nothing”), and where you might want to look if you want to purchase or investigate weighted blankets further. So First, What is a Weighted Blanket? Besides the description on the tin, a blanket that just so happens to be weighted, a Weighted Blanket is actually a time-tested, research-backed occupational health tool that has been in use for at least the past 30 years. Often, weighted blankets are made with a soft cotton material (in select cases, a cotton mink-like fabric called “Minky” is used), with pockets sewn in to hold either glass or plastic beads. These beads are usually as small as possible to ensure an even weight distribution on the user, and also allow for a more even heat distribution so that it doesn’t make the user uncomfortable. What Can A Weighted Blanket Do For Me? As is the case with many things in life, it depends. Though originally designed as a means of helping pediatric patients with severe behavioral issues or autism, the purpose has expanded exponentially over time. Of these, the most common use involves helping an individual lower their stress and anxiety levels. 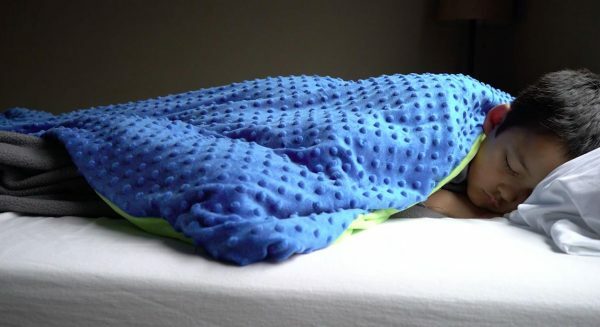 Using weighted blankets to cope with depression is also quite popular, as is using it to help mitigate restless leg syndrome symptoms, emotional extremes in individuals with autism or Asperger’s, or even handling PTSD. Weighted Blankets can be used at home, on the bed or couch, in class, or even at the office, wherever they are needed and whenever they are needed. Now, this all seems great, perhaps too great when you think about it. How can some cloth and weight make a difference in all these things? Let’s find out. Weighted Blankets tend to work via a therapeutic method called deep pressure sensory input or therapy. In many respects, the way a weighted blanket calms or reduces symptoms is the same way a comforting hug or cuddle can reduce the symptoms of many disorders, and provide a safe assurance that things will be alright. On the physiological level, we can attribute these benefits to three chemicals: Dopamine, Serotonin, and Melatonin. The first two are neurotransmitters that work in very similar ways to one another: Dopamine, often called the “happy chemical” is a neurotransmitter than often elevates mood significantly, and Serotonin, which is often seen as a neurotransmitter that causes a cascade of reactions in the body to slow heart rate, lower blood pressure, and in short, calm you down. Melatonin, when appropriate (as it rarely occurs during the day if properly rested) is the hormone which tells your body it is time to rest. With the weight and warmth of the weighted blanket simulating a warm embrace, your body taps into a conditioned response and allows you to de-stress, sleep better, or recover from a negative event far better than doing so on your own. While not a replacement for medication or intensive therapy, a weighted blanket can, by this mechanism, aid in your day to day life significantly.